The HOW Global methodology is entirely community-based, meaning that villages drive their own development. HOW Global shapes these model villages, called Green Hubs, by guiding them through eight phases of development. 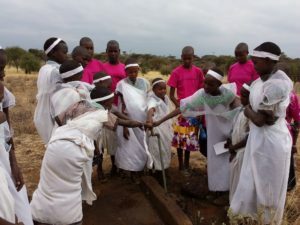 At the heart of this model, village schools are used as a central source for clean, potable water for those who are in a state of emergency need. Education becomes the cornerstone of the process, with workshops and trainings throughout the eight phases. In this way, the simple act of providing clean water leads to developing agricultural and food security, and ultimately to the creation of a fully functioning Green Hub capable of tackling the most critical issues associated with extreme poverty in a sustainable and holistic way. Establishing a Green Hub is not easy. Communities are selected through an application process vetting their motivation and commitment to driving their own development. Once a model village is selected, HOW Global partners with community leaders to identify a base school and cultivate community buy-in. 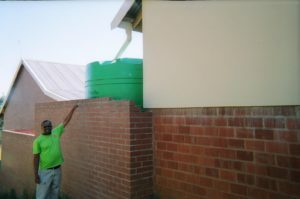 The selected school becomes the location for a rainwater catchment program, the first step to delivering potable water to a community in need. This process represents a key opportunity to introduce the community to the partnership. The establishment of a sustainable garden located at the school is required before the next stages of the process begins to unfold. 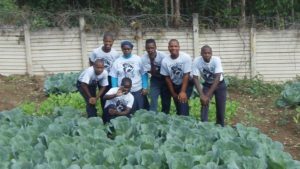 The garden is tended by the community, which is trained to grow and sell appropriate crops. Simultaneously, American school children are invited to participate in fundraising efforts to support the program. This is a powerful opportunity to expose them to the larger-than-life cultural experience of watching the project grow and truly seeing the needs of children in other parts of the world. 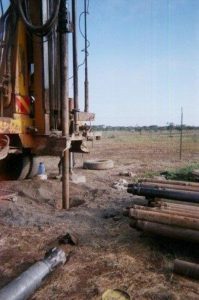 Success at this stage signals that the school and community will be ready to take on the larger project of drilling a borehole and installing a water tank and pump for a sustainable clean water source. 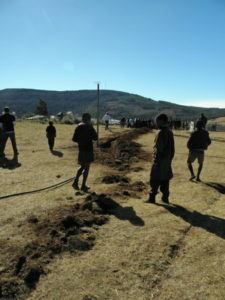 The community actively participates in trenching for water pipes and maintaining the food garden. 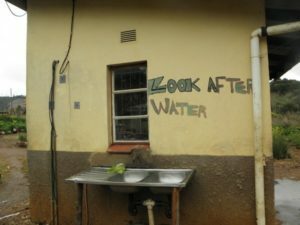 Sinks are installed at hand-washing stations to support enhanced hygiene practices. This process takes up to a year, during which relationships are being forged with community members and local businesses. 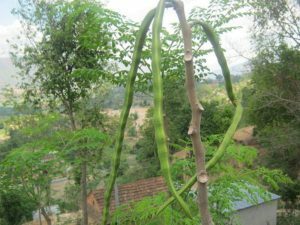 A promising new element to this stage is a Moringa tree-planting initiative, which includes training on how to plant and use each part of the tree. The Moringa tree is well known for its water-sanitizing qualities and medicinal properties. Additional workshops include training on natural forms of agricultural aides such as worm farming and composting. When basic needs are met, people are better able to tackle serious development issues. The hope and sense of empowerment cultivated during the earlier phases of the Green Hub Sustainable Living program prepare these communities to do just that. 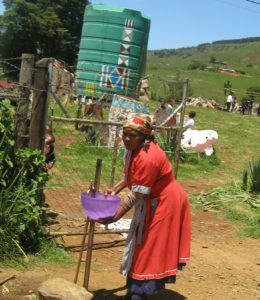 When water and agricultural phases of the project are well established, HOW Global turns management of the program over to local leadership within the Green Hub community. This handover ultimately creates a truly sustainable and community-owned process, which will continue long after the departure of HOW Global. Success has been demonstrated by a number of HOW Global Green Hubs that have continued to achieve strong development objectives long after HOW Global relinquished leadership. A successful Green Hub then serves as a model for other villages, triggering a chain of similar development in surrounding communities. The post-handover phase targets health. With guidance from HOW Global, Green Hubs maintain partnerships with the international medical professionals and hospitals who have committed to support them. Strong partnerships with maternal and pediatric health providers promote health through the life cycle. 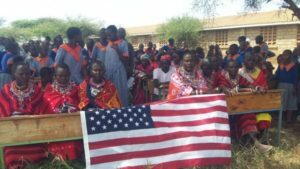 A flagship initiative of this phase is the effort to encourage alternative rites of passage in communities which practice traditional ceremonies of female genital cutting and early marriage of young girls. Support from around the world provides aid for the Green Hub as it moves toward sustainability. In the United States, interns from Ivy League schools pursue grants and conduct research and development projects centered on the Green Hubs. Teachers from around the world are given the opportunity to teach in the Green Hub classrooms. Doctors from the USA, Germany, Ireland and Kenya have joined the team to offer support. Engineers and agriculturalists are also matched with the Green Hub to act as advisors and consultants. The growth of the HOW Global Green Hub program comes primarily from within districts with existing Green Hubs. The successful model is then replicated among neighboring communities. 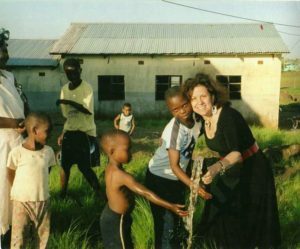 This simple rural village model program, based on providing the basic needs of life, has affected the lives of more than fifty thousand people suffering from poverty in Haiti, South Africa, Kenya and Ghana. 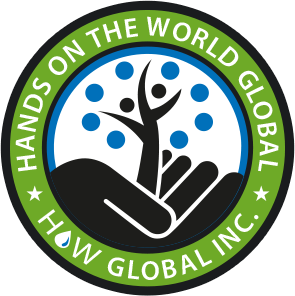 Additionally, through collaboration with other international NGOs, HOW Global continues to inspire future programs designed to make a difference in the lives of the world’s under-served populations.